The IIIT Pune is having one of the large infrastructures as it gives various buildings separated for the staffs and the candidates. The campus has library block, computer blocks, and auditorium and also has the various gaming courts. The campus is well oriented and well equipped with instruments used for providing better quality education to the aspirants. Placement: The Institute would establish collaborations with various well-known companies to nurture Industry-Institute interaction. Students and faculty would be exposed to the state-of-the art tools and software as well as they would be encouraged to take up Industry project/interact with Industry to hone their knowledge and expertise. The Institute would also maintain an industry-relevant and up to date curriculum by partnering with these leading organizations for PGDM programs. These organizations would also provide valuable insight in the development and delivery of the programs. The real test of technical education is the creation of an entrepreneur who gets creative ideas reinforced in the education process in a technology school and is ready to start a new venture. In order to nurture the entrepreneurial talent of young graduates, the Institute has a plan to setup an Incubation Center. Campus: international Institute of Information Technology (I2IT, pronounced as I Square IT), formerly known as Hope Foundation and Research Centre is registered under the Bombay Public Trusts Act, 1950 and the Societies Registration Act, 1860 as a Public Charitable Trust and a Society respectively. It was established by Mr. P. P. Chhabria, Chairman of Finolex Group of Industries in 1979. The erstwhile Hope Foundation and Research Centre commenced its charitable activities in the field of medicine through the provision of free medical aid for cancer patients in the form of medical assistance and life saving drugs. The Foundation also supplied chemotherapy drugs to overcome the scourge of cancer and related diseases. Recognizing the need to intensify the fight against cancer, The Foundation was a pioneer in the establishment of a well-equipped Mammography Centre in Pune in August 1993. The vision and concept of I2IT was first unfolded in the year 2000 in the presence of PadmaBhushan Dr. R. A. Mashelkar, the then Director General of CSIR. The Institute is the creation of Shri P. P. Chhabria, well-known industrialist and philanthropist of India and past President of Mahratta Chamber of Commerce, Industry and Agriculture (MCCIA) and Padmashri Dr. Vijay Bhatkar, a distinguished scientist and an acclaimed IT leader of India who is credited with the creation of India’s PARAM series of supercomputers, and who is also a recipient of Maharashtra’s highest recognition ‘Maharashtra Bhushan’. The vision and leadership of these two distinguished people have shaped this Institute since its inception. IIIT-Pune Conducting every year many technicalsymposiums and National and International Conference on Many Interest Topics.Details of all events are given below. 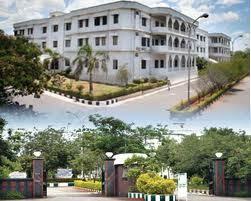 Know about all the details regarding admission and fees for the b.tech course . And send me the link to get information about mains and advance results ,iiit exam results.